Ok, so admittedly those suspiciously adirondack-like chairs have got to go, but the rest just warms my very heart. 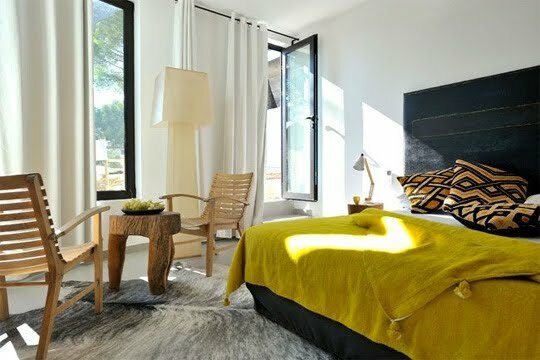 Of course, the designer utilized my go-to pallet of black white and yellow, so I instantly feel at home in the room but this house differs from mine in that it's got a more sophisticated yet comfortable feel. When I grow up I'm totally doing this to my room.